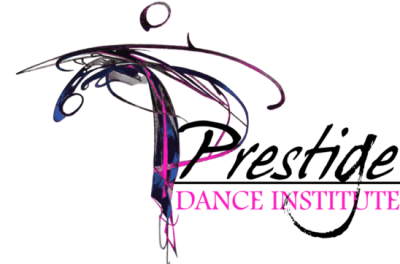 Aleah Ham Darnell is the Owner and Artistic Director of Prestige Dance Institute. She is a native of Wilson, North Carolina, and has been dancing since the age of two studying tap, ballet, pointe, jazz, clogging, hip hop, modern, contemporary, and performing on the competitive level. During her training in private studios, she had the privilege to study under the amazing ballet teacher Eileen Juric and many more. Aleah has 10+ years of teaching experience in studios and is excited to run and operate her own dance studio. 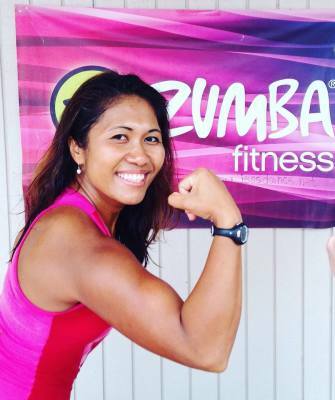 Aleah is also a licensed Zumba Instructor and brings extreme energy to her class creating an exhilarating, fun, and fit dance party! She has an extreme passion for dance, and is eager to share it with others. Aleah is a 2010 graduate from Meredith College earning her Bachelor of Arts in Dance with concentrations in Private Studio Teaching and Performance and Choreography. While at Meredith, she was a member of the Meredith Dance Theatre, the Meredith Jazz and Tap Company, and the dance honor society, Nu Delta Alpha. In 2009, Aleah received the "Performer of the Year" award given by faculty of Meredith College. Aleah's choreography has won numerous top awards at the competitive level such as "Most Entertaining" and "Highest Score", and "Judges Choice." She is a graduate from the 2010 Summer Intern Dance Program at Broadway Dance Center in New York City. She studied in all styles of dance with concentrations in contemporary and hip hop. She studied under Derek Mitchell, Sheila Barker, Sheryl Murakami, Mishay Petronelli, Luam, Chio, Ginger Cox, Brice Mousset, David Marques and many more. Aleah had the honor to work behind the scenes at the Summer PULSE event assisting Tyce Diorio, Laurieann Gibson, Dave Scott, Gil Duldulao, Cris Judd, Desmond Richardson and more. Through her internship, she has been featured in DanceSpirit Magazine as a representative of Broadway Dance Center. Aleah is featured dancing in artist Telihana’s Music Video “All Night” and the Step Up 3D Video Promo produced by Walt Disney Studio Motion Pictures. She has had the opportunity to participate and perform in several American College Dance Festivals and the North Carolina Dance Alliance. Aleah has danced and performed with the Moscow Ballet in the Great Russian Nutcracker. In 2005, Aleah was one of two North Carolina representatives for CheerHawaii USA in Honolulu, Hawaii. She has taken master classes under Broadway star, Ron Todorowski learning original choreography by Twyla Tharp to the Broadway musical Come Fly Away, Tabitha and Napoleon, Tyce Diorio, Mia Michaels, Sonya Tayeh, Shane Sparks, Andre Fuentes and more. Aleah was the jazz instructor at Peace College in the fall of 2010, and a dancer in The Dance Cure Company. She is now company dancer in the Carol Finley Dance Group where she performed in the 2012-2013 North Carolina Dance Festival tour as well as performed work by Carol Finley at the Performance Research Center in Brooklyn, New York. She performed for the 2013-2014 North Carolina Dance Festival Tour dancing work under Eleanor Smith. Aleah now resides with her husband Justin and son Bryden in Garner, North Carolina. Cara Mossman is from Raleigh, North Carolina and has been dancing for over twenty years studying jazz, acrobatics, tap, ballet, hip hop, modern, contemporary, lyrical, and performing on the competitive level. Cara has ten years of teaching experience in studios and is excited to be a part of the studio! Cara is a 2013 graduate from Meredith College earning her Bachelor of Arts in Dance Studies with concentrations in Private Studio Teaching, Performance, and Choreography. While in college, she was a full company member of the Meredith Dance Theatre and the Meredith Jazz and Tap Company. She has had the opportunity to participate and perform in several American College Dance Festivals, the North Carolina Dance Alliance, The Carol Finley Dance Group and she also worked for Disney World as a character performer. Her choreography has always made the Gala, won numerous awards and scored diamonds and first place overalls. She is looking forward to a successful year and is ready to start dancing! We love having Miss Cara a part of our Prestige Staff! 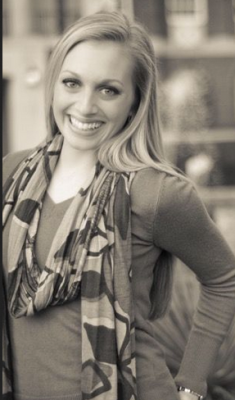 Kelsey Riner graduated from Meredith College in 2012 with her Bachelor of Arts in Dance Studies. Kelsey was born and raised in Virginia Beach, VA where she trained at Music in Motion Dance Academy for fifteen years before continuing on at Meredith. While at Meredith, Kelsey was a member of Meredith Dance Theatre and Meredith Jazz and Tap Company for four years as well as a member of the dance honor society, Nu Delta Alpha. She served as President for both companies (MDT 2011-2012, MJTco 2010-2012). During Kelsey’s senior year she became a member of the Carol Finley Dance Group and performed on the 2012 North Carolina Dance Festival Tour. Kelsey has attended and performed at three American College Dance Festivals as well as performed in several concerts and events throughout the North Carolina Triangle area. Kelsey was a recipient of the Outstanding Student Performance Award for 2011-2012 from the dance department at Meredith College. In fall 2011, Kelsey’s choreographic work titled Only Yesterday was chosen to be performed in the North Carolina Dance Alliance Youth and College Showcase. Kelsey held two internships in 2012; a Private Studio Teaching internship with Carolina Dance Center and an Arts Administration internship with the Performances Office at the American Dance Festival. 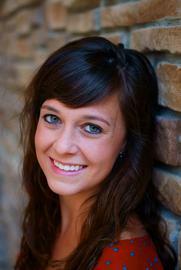 In September 2012, Kelsey returned to Music in Motion Dance Academy but this time as a teacher. Kelsey performed with the studio’s non-profit dance company, Music in Motion Dance Company, in March, 2013 and choreographed works for their 2013 and 2014 concerts. She taught at Music in Motion for two and a half years until relocating to Raleigh in February 2015. Her teaching experience includes a wide range of techniques with ages ranging from 6 to adult. Upon returning to Raleigh, Kelsey has rejoined the Carol Finley Dance Group and is looking forward to performing with the company. She is also excited to continue teaching and inspiring students through dance at PDI! Lauren Wolfram is a native of New York City, where she trained at Ballet Academy East (BAE) under the direction of Darla Hoover from 2002 to 2014. At BAE, she performed principal roles in Balanchine’s La Source and in Sleeping Beauty, as well as principal and soloist roles in ballets by Emery Lecrone, Charles Askegaard, and Jeffrey Cirio. In 2014, Ms. Wolfram was awarded a full scholarship to attend the Boston Ballet School Trainee Program, under the direction of Margaret Tracey. At Boston Ballet, she performed with the company in Swan Lake, Onegin, and Mikko Nissinen’s The Nutcracker, and with Boston Ballet II as a soloist in Boykko Dossev’s Ne Me Quitte Pas. In Boston Ballet’s Next Generation performances, Ms. Wolfram performed a principal role in Balanchine’s Divertimento No. 15 and the Diamond Fairy in Sleeping Beauty. In 2015, she was selected to represent Boston Ballet as an exchange student with the Royal Danish Ballet in Copenhagen. 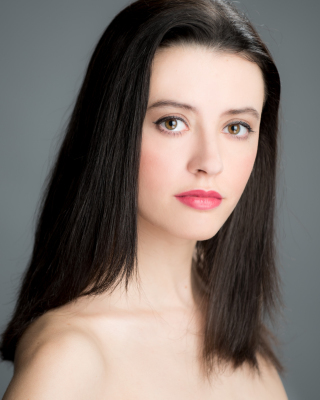 Ms. Wolfram is currently a member of the corps de ballet at Carolina Ballet. She is excited to be on staff at PDI and share her love of ballet. Originally from Durham, NC, Caroline graduated from the University of North Carolina at Chapel Hill in 2016, where she earned degrees in Psychology and English, and a minor in Anthropology. Before college, she spent four years as a member of the North Carolina Youth Tap Ensemble, in addition to her thirteen years of study with Gene Medler. Caroline is currently on staff at the Ballet School of Chapel Hill and Barriskill Dance Theatre School in Durham. Additionally, she joined Gene Medler in 2016 as the co director of the North Carolina Youth Tap Ensemble. Caroline has always been passionate about working with young people, and is thrilled to have the opportunity to combine that with her love of tap. Greyson began his dance training at the age of two in North Carolina. During that time, he received training in all forms of dance from his mother, Scottie Davis, and teachers, Sandy and Sydney Overcash. 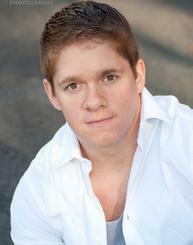 At the age of 14, he began his focus of tap, receiving choreography and training from tap master Jason Janas. After attending college at NC State, he began developing his own artistic direction, focusing on the rhythmic side of tap. Greyson uses new age jazz music as a platform to phrase smooth, relaxed rhythms as well as hard hitting ones. 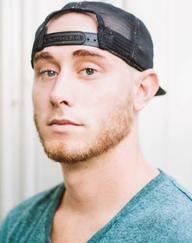 He now works for Applause Talent, and also teaches for three dance studios through North Carolina and travels the mid-eastern part of the country teaching and choreographing. He is excited to be a part of The Prestige family. Ellen began dancing at the age of 3 at Tonya's Academy of dance in her hometown of Wilkesboro, North Carolina, where she completed 15 total years of dance education. She began clogging at the age of 8, and it quickly became her favorite style of dance. She competed in jazz, lyrical, pointe, modern, hip-hop, and clogging throughout the years, as well as competed for numerous solos and duos in both dance and clogging competitions. Ellen has choreographed for her home studio and assisted in teaching. 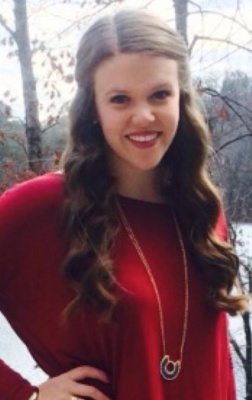 Ellen is currently a senior at Meredith College and a member of the Wolfpack Clogging Team. She is excited to be a part of the Prestige team as an instructor! Karen is a 2006 graduate from the University Maryland, where she received a Bachelor of Arts in Dance and Choreography. While at Maryland, she was a member of the UMD Spirit Cheerleading Squad. She was chosen to perform at the Gator Bowl and Women's Final Four. Prior to college, Karen made her high school cheerleading squad and was one of two freshmen chosen for the Varsity team. She was named Captain her senior year and led her team to the State Championship. Karen won the Top Gun Dancer Competition 3 years in row and was the reigning State Champion. She received several scholarships and awards for her leadership skills. She also took gymnastics for many years and later began teaching tumbling and acro. Karen has been dancing for over 20 years. She took dance at Children's Studio of the Performing Arts in Shelton, Ct. She has studied tap, ballet, jazz, hip-hop, modern, pom, contemporary, acro and lyrical. 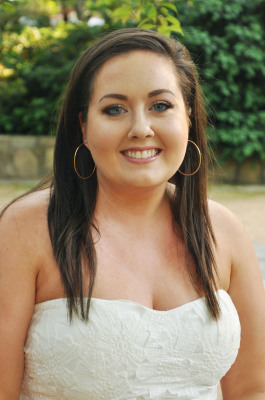 Karen began teaching dance at a very young age and found her passion working with children. She coached the Shelton Pop Warner Midget Dance team and they were undefeated 2 years in a row. Throughout her dance career she performed in several productions including works at, Western Connecticut University, Dean College and the University of Maryland. While in college she coached and choreographed for a local allstar cheer and dance program where she led her teams to many National Championship Titles. She was awarded several choreography awards for her achievements. 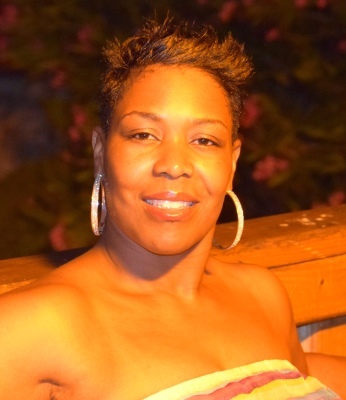 She has judged for allstar cheer and dance competitions as well as high school competitions. Over the years, Karen has previously run and directed several dance programs working with their competitive and recreational students. The competitive programs earned many awards including, Platinum, Diamond, Best Choreography, Most Entertaining and Best Style. She has worked with dancers ranging from ages 2 to 21 years of age and loves what she does. In addition to Karen's dance experience she has also worked as a pre-school teacher for 6 years in Maryland and in Johnston County, North Carolina. She is looking forward to a fabulous year with Prestige! Mychal Woodard is a world-traveling choreographer based out of North Carolina. He has worked with some of the biggest names and tv shows such as So You Think You Can Dance, World of Dance and the Disney Chanel. He has won multiple championships with his Hip Hop choreography such as 4 USASF Dance World Championships, 4 Dance Summit Championships, qualifying for Las Vegas on So You Think You Can Dance, and 2 Time Top 15 Quarter Finalists for America's Best Dance Crew. 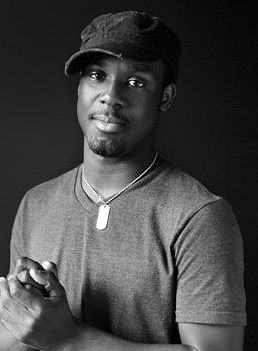 Mychal is also highly trained in contemporary and is super excited to join the Prestige staff and share his love for dance. Mike Curtis is one of the most recognizable names in the clogging world. Starting over 20 years ago, he never realized how far his talent might take him. The dance overwhelmed him from the very beginning and he would settle for nothing but the best. After years of hard work, he finally hit that big winning streak. For approximately 3 years, he was unbeaten in clogging competitions in the solo division, proving that hard work pays off. Since then, several other major awards have followed including several team titles and two National Championships in the Duo-Duet division. Once these accomplishments had been reached, he decided he still wanted more. He got together with three of his best friends, also prominent dancers in the clogging world, and they developed a performance group called ALLTHAT! ALLTHAT! has stepped outside the clogging world into the mainstream and created a great deal of success for themselves. Their biggest performances include Fox’s 30 Seconds to fame, ABC Family’s Dance Fever, CBS’ Star Search, and most recently they were semifinalists for an unprecedented 2nd time on NBC’s smash summer hit America’s Got Talent. The boys are constant performers at The Carolina Opry in Myrtle Beach, South Carolina where the sky continues to be the limit!! Mike continues to teach and perform at venues all across the country in an effort to show his thanks to everyone for their support of himself and ALLTHAT!! Based in Myrtle Beach, SC. 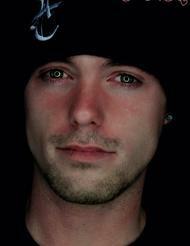 Brad Berry grew up in Prospect, Ohio and started clogging at the age of 12. It wasn’t long after he began dancing that he found out how much he loved to compete. He danced at many regional and national competitions. Over the years, Brad developed his own energetic and unique style. Brad joined an Irish Step Dancing group based out of Atlanta, GA, called Dancing On Common Ground. He clogged and step danced with them in a US Tour from 1999 to 2003. Brad spent 2 summers in Branson, MO at Silver Dollar City as a cast member of Rhythm Dance in 2003 and Can’t Stop Dancin’ in 2004. Brad auditioned and was hired for another step dancing troupe, Magic of the Dance which was based out of Berlin, Germany. 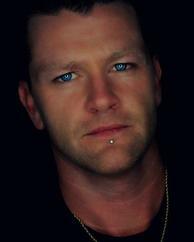 Brad toured with them in their European and Asian Tours from September 2003 until April 2006. He was part of the American Tap section of the group, where he clogged and tap danced. In May 2006, Brad joined the clogging group All That! and is presently still a member of the group. All That competed on NBC’s America’s Got Talent this past year and made an incredible run all the way into the Semifinals! Brad and All That! Perform nightly at The Carolina Opry in Myrtle Beach, SC. Based in Myrtle Beach, SC. Drake Elkin started clogging merely as a hobby out of Ellettsville, IN for The Rise & Shine Cloggers Dance Studio at the age of ten. By age twelve he witnessed the older competition team of the studio take a trip to Europe to go perform. This was the fuel that fired his ambition and motivation for clogging. From age twelve to fifteen Drake started working on his advancement on step work. By fifteen Drake left The Rise & Shine Dance Studio to move to a more competitive team: The Clogging Sensation, based out of Branson, MO and started winning 1st, 2nd, and 3rd overall male consecutively in Traditional, Contemporary and a cappella solos. At age 17 Drake qualified in AAU Junior Olympics in Detroit, MI and brought home five gold, six silver and one bronze metal in solos! At age 20, one of Drake’s competition mentors, Mike Curtis, asked Drake to fill in for a summer with ALL THAT! at The Carolina Opry Theater in Myrtle Beach, SC. From age twenty to twenty-four, Drake continued to compete, teach workshops and assisted in a few competitions. At age 24 Mike Curtis again, asked Drake to take a week trip to Hong Kong, China to perform with ALL THAT! at The Grand Plaza Mall for their 2010 Christmas show. The next spring of 2011 Drake Started performing at The Hatfield & McCoy Dinner Show in Pigeon Forge, TN. During this time Drake had become a member of ALL THAT! And in 2012 ALLTHAT! starred on NBC’s hit show America’s Got Talent and made it all the way to semi-finals. Drake remained with The Hatfield and McCoy Dinner Show until the end his final contract in March, 2015. He now resides, in Myrtle Beach, SC as a full time employee at The Carolina Opry with the members of All That! He Still hopes to travel through Europe at some point in his clogging career. ALL THAT!, consists of Mike Curtis, Delohn Collins, Brad Berry, Brian Staggs, Joel Harrison, Ethan Stewart, Harrison Barnes, Drake Elkin, and Mark Clifford. As solo dancers these guys dominated the competition dance world for more than 15 years, collectively winning hundreds of Solo Grand Championship titles and thousands of trophies each. It was inevitable that they should join forces and do more then just compete. In 1999, four of the guys came together to form the performance group, ALL THAT!, and started wowing audiences across the world. 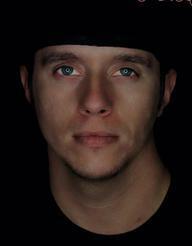 Today, the group has expanded to 9 of the BEST male cloggers/percussive dancers in the world! With international travels, the group has performed in Austria, Germany, Italy, Ireland, and Japan, participating in some of the world’s most popular festivals. ALL THAT!, also has many Television credits as well; FOX TV’S 30 SECONDS TO FAME (Finalist), ABC FAMILY’S DANCE FEVER (Finalist), CBS’S STAR SEARCH, THE JERRY LEWIS MDA TELETHON, SPEED Channel’s FAST TRACK TO FAME (1st runners-up) and most recently NBC’s hit summer show AMERICAS GOT TALENT, making an unprecedented run all the way into the semifinals for a second time, 2006 and 2012!! The guys also had the honor of being given a televised slot in the 87th Annual Macy’s Thanksgiving Day Parade in 2013! Following the completion of Dance Fever in 2003, the guys landed a gig in two shows on the strip in Las Vegas! They performed in 2-4 shows nightly in high demand in “Ovation” at The Aladdin and “V the Ultimate Variety Show” at the Venetian for more than a year! They have been used as a promotional tool on the side of PEPSI’s MT. DEW cans as well as appearing in Dance Spirit magazine, USA WEEKEND and numerous other publications. In 2003 and 2012, ALL THAT! was awarded the highest honor in clogging, the Pioneer Award, for their continuous support in promoting clogging and ushering it into mainstream media. In 2007 they were the show openers for the University of Kentucky Men’s Basketball Team’s MIDNIGHT MADNESS, performing for over 23,000 people! In October of 2014, the guys performed the halftime show for the Carolina Panthers vs. Seattle Seahawks game in Charlotte for more than 80,000 fans! Each dancer in ALL THAT! has been blessed with an incredible talent and believes in giving back and helping those in need. These guys have raised thousands of dollars for terminally ill children, held benefits for youth sports leagues, and performed for The Cancer Society’s Relay for Life. Collectively, the ALL THAT! Gentlemen have been featured instructors in Master classes across the country and continue to release the highest level and best selling instructional DVD’s available! Currently the boys are being featured in two shows in Myrtle Beach, SC; THE CAROLINA OPRY and GOOD VIBRATIONS!, selling to crowds of 2000+ per night. ALL THAT!, continues to be the highlight of every show, leaving patrons on their feet. Prestige. She now resides in Clayton, North Carolina. When she is not teaching, she enjoys spending quality time with her three children.